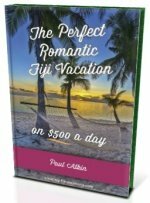 Want to know about Fiji health retreats? Perhaps, the latest retreats to soothe your mind, body, and soul? Discover these secluded tropical island wellness getaways. Here, the latest Fiji package deals to do with health, wellness, yoga, and wellbeing will be presented here. This retreat, run through Namale Fiji Resort & Spa, is designed to relax, renew and rejuvenate your mind, body & spirit through a steady daily practice of Yoga and Pilates while listening to the rhythm and sounds of the surrounding rainforest and Koro Sea. In between practices and retreat sessions, there will be opportunities to stroll the quiet beach, swim in the crystal clear plunge pools, kayak, stand up paddleboard, enjoy rainforest hikes or a afternoon boat excursion and snorkel – passing leaping dolphins along the way and a chance to pamper yourself in a variety spa treatments in our newly renovated Spa & Sanctuary. Pilates and Yoga are well-loved for the core-power and lean, catlike control that they develop, and what better skills than to practice them both together? Energetic Pilates/Yoga fusion classes are taught with a fresh, fun creative bend each morning and will fire up your center and give you the power to get through a full day of exciting adventures and wellness activities. After fun in the sun, spa services and/or simply relaxing in a hammock, each day will end with a restorative Yoga/Pilates fusion class that promises to soothe the psyche and lengthen sore muscles. All classes are taught by experienced instructor, Margaret Ybarra from San Diego, CA. The program begins at 5pm on the Saturday March 22nd and departure is at 12pm on the last day Thursday March 27th. 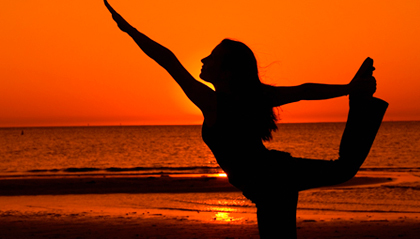 Each day there will be two Yoga/Pilates sessions (morning and evening), set scheduled activities, healthy meals and refreshments as well as free time to enjoy the spa, walks on the beach and relaxing. There will be aspects of the schedule that each guest will be able to customize to meet their needs as well as structured group activities. Costs include accommodations, all activities, food, beverage, transfers and Namale Retreat Goodie Tote Bag with yoga mat, water bottle, journal & towel. **If you are a couple traveling together all of the above bures/villas will accommodate you.